The Koch "Load Box II" is a guitar player's tool. 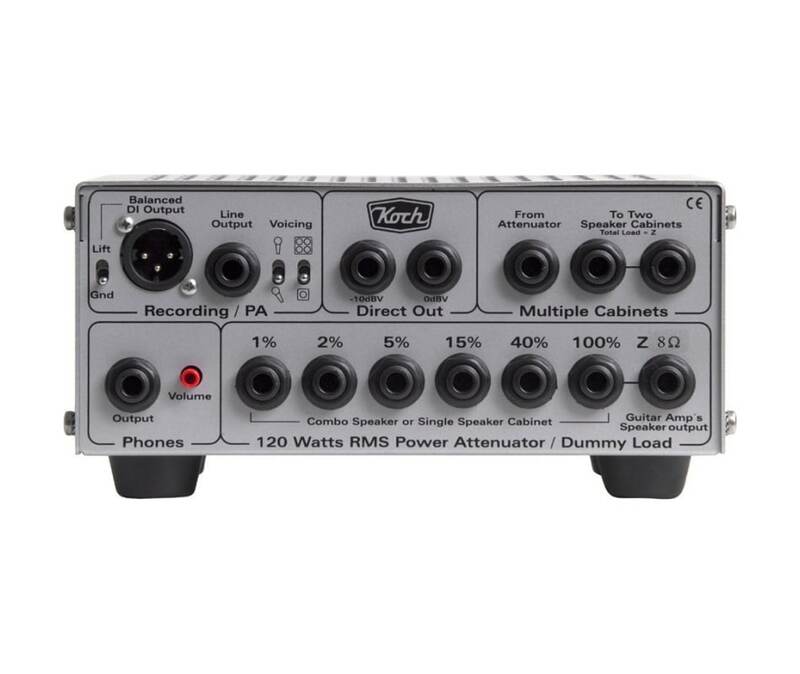 It can reduce your tube amp's output power to small-club, rehearsal or even to bedroom level. Specially designed circuitry assures your amp's tone will remain the same on all different power levels. Smart features improve your guitar sound live or in the recording studio. Includes an output that simulates sound coming from a speaker and picked up by a microphone in front of it. No hassling with microphones any more.... just Plug and Play!